Gout is a type of arthritis that can be particularly painful. It most often affects a joint in the big toe. However, it may also affect the ankles, insteps, heels, and other areas of the body. If you suffer from gout, work with a podiatrist to learn how you can relieve your foot pain and manage your condition. In addition to pain in the joint, gout can cause swelling, stiffness, and soreness. The affected area may appear redder than usual and it may feel warm to the touch. Sometimes, an attack of gout pain will wake you from sleep. The pain may linger for a few days to a few weeks after the attack. Gout is caused by an accumulation of urate crystals, which are formed from uric acid in the bloodstream. The uric acid is produced naturally as a byproduct when your body processes purines, which are substances found in foods such as mushrooms and organ meats. Uric acid levels can reach abnormally high levels if you eat too many of these types of foods or if your kidneys cannot properly rid the blood of uric acid. You’re at a greater risk of developing gout if you have a family history of it, you’ve had an organ transplant, you’re a man, you’re overweight, or you consume excess alcohol. Your podiatrist may prescribe various medications to manage your condition, such as nonsteroidal anti-inflammatory drugs (NSAIDs), corticosteroids, and colchicine. Colchicine is a type of pain reliever usually prescribed to those who cannot tolerate NSAIDs. You might also take drugs to block the production of uric acid or to accelerate its removal. Dietary changes and maintaining a healthy body weight may be recommended. Those who suffer from gout and similar conditions that cause foot pain are invited to schedule an appointment with Advanced Foot & Ankle Specialists of Sugar Land and Houston. Our podiatrists provide exceptional patient care for a range of conditions, including nail fungus and nail infections. Give us a call today at (281) 242-3338 or visit our website to explore our services . Gout causes inflammation and pain the joints of the body. This condition is often cyclical, causing temporary “flare-ups” of pain in the big toe or other joints in the feet, ankles, or knees. Studies have shown that certain foods can trigger or worsen gout “attacks,” so knowing which foods you should minimize or avoid can help to improve your comfort and quality of life. Some animal products contain high levels of natural substances called purines. Purines are broken down in the body into uric acid when you digest them. Because gout attacks are caused by the buildup of uric acid crystals in the joints, a low-purine diet can reduce pain and minimize the extent of a flare-up. Seafood options and meats that are high in purines include scallops, mackerel, herring, turkey, goose, and red meats. Purines are not found solely in animal products—they are also found in produce. 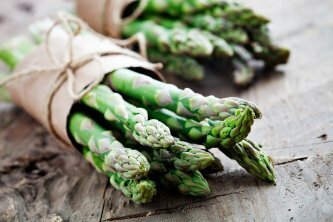 Some vegetables are particularly high in purines; these include asparagus, spinach, cauliflower, and mushrooms. However, vegetables contain lower amounts of purines than meats, and the body is more efficient at metabolizing and excreting vegetable-based purines. You can include these veggies in your diet as long as you don’t eat them every day. For those with gout, beer can prompt and prolong painful flare-ups. Beer increases the levels of uric acids in your body as it is metabolized. The alcohol contained in beer also slows down your body’s ability to flush uric acid away. While some people with gout can enjoy an occasional beer without a flare-up, you should avoid drinking beer or other alcoholic beverages entirely during an attack. Are you experiencing foot, ankle, or knee pain related to gout or other forms of arthritis? 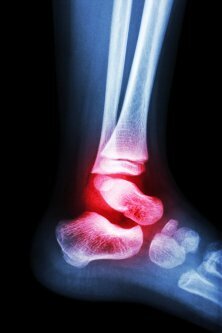 Advanced Foot & Ankle Specialists is here to help by offering comprehensive foot and ankle care. Check us out on the web or call us today at (281) 242-3338 to explore our services or find the location nearest you in Houston or Sugar Land .